Sigma SM series auto labelers are the most advanced “Pack Out” scale and labeler ￼in the industry, going way beyond just being a “scale”. Using a unique static stop/start weighing that allows for NTEP certification. 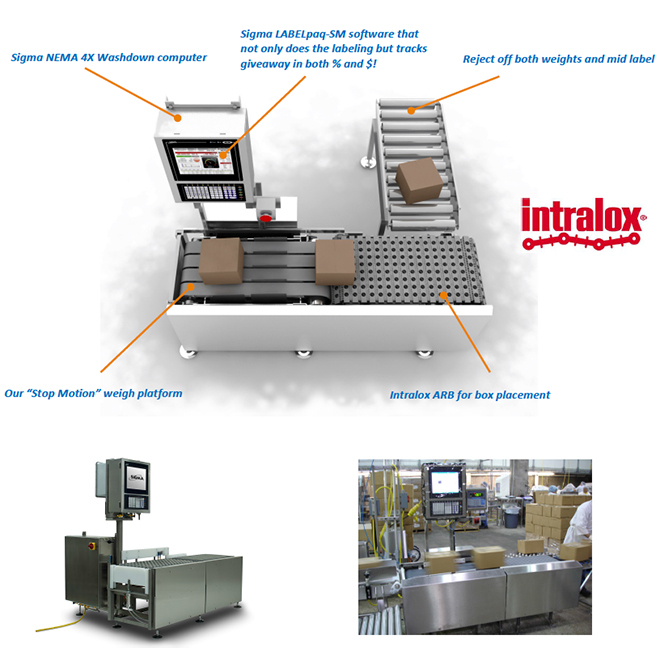 We use Intralox ARB belting for case alignment and ID Technology label applicators. Sigma LABELpaq software handles the labeling. Made food plant rugged with stainless steel motors and bearings.